Do you grant permission for our beneficiaries to send you newsletters? 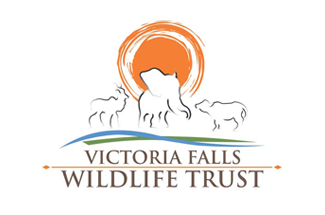 Do you have any formal wildlife experience/qualification? Minimum age requirement for any cyclist is 16 years of age and a maximum of 70 years of age, unless permission has been requested and granted by both a medical practitioner and the event organisers. Safety approved riding helmets are compulsory (gloves are recommended). Other less experienced cyclists may, on request, be allocated to a cycling group. The Race Organisers will attempt to make up groups of comparable cycling ability and these groups will be led by a Group Leader to ensure the safety of the riders to the best of their ability. All cyclists must be in good health and of good fitness. Whilst cyclist in the groups may not be racing & do not have to be a super cyclist to enter, you do need to be fit & healthy with training & preparation to be able to enter. Acceptance onto the Zambezi Cycle Challenge is subject to the cyclist completing and submitting the following a) cyclist online registration b) Acceptance of the indemnity form and c) adhering to payment terms. The Event Organisers reserve the right to decline any registrations for any reason whatsoever at their sole discretion without having to give any explanations. In these cases full refunds will be given. Should any cyclist behave in such a way that it negatively affects either the enjoyment or safety of themselves or other cyclists, that cyclist will be warned and if need be, evicted off the cycle tour without compensation. This includes any cyclists that arrive that are not medically fit enough to participate in an event of this nature. Cyclists must have completed at least 1 mountain bike event in the past 9 months covering a min of 70km. The cycle tour may take you into close contact with wild animals. Neither the organisors , the sponsors, their employees, partners nor agents can be held responsible for any injury or incident on the tour. The Cyclist/Support Leaders and official’s word is final! The safety precautions need to be taken seriously, and strictly adhered to. Anyone found in contravention of the officials or any safety regulations will be evicted from the tour without compensation. Should you arrive on the tour without adequate preparation and are holding back your cycling group, your Cyclist/Support Leader will be fully entitled to prevent you from cycling and allocate you to a support vehicle. The cycle tours take place in a malaria area; please consult your doctor regarding anti-malaria precautions. Current tetanus vaccination is recommended. Space on the luggage vehicles is limited, thus luggage is restricted to one 20kg soft carry bag per cyclist. Please ensure that your luggage and bicycles are clearly LABELLED. We cannot be held liable for damage to your bike or luggage. Bikes will be loaded onto and off trucks for transport to/from the start of the tour. Please ensure that your luggage and bicycles are adequately insured as the event organisers can not be held responsible for any damage or loss to personal belongings, luggage or bicycles. Only mountain bikes in good working condition will be allowed to participate. Please note that tubeless conversions are MANDATORY. If you arrive without a tubeless conversion, you will be asked to pay for a conversion on site (which will definitely cost you more). Due to the area we travel through, sand is inevitable. We will do all possible to stay away from sand, but we suggest that cyclists prepare for sand and get wide tyres to ensure you are better equipped to deal with this. The cycle tour will travel through National Parks. All cyclists must agree to respect the wildlife and environment through which we travel and to obey all National Park rules and regulations. No littering. All food packaging must be kept on the cyclists until the next refreshment stop. Please burn all toilet paper if you have to use the ‘bush toilets’. Please assist us in ensuring that we leave the areas through which we travel in a pristine condition. This will ensure that we can continue to cycle through these wonderful wilderness areas. The onus is on the cyclists and support staff to ensure that their passports and visas are valid for Zimbabwe (visas may obtained at port of entry) The organisers, the sponsors, their staff and their agents cannot be held liable for any visas etc not held by the cyclist, or the cost of visas. It is a condition of the cycle tour, that it is the sole responsibility of each participant to ensure that they carry comprehensive medical aid or medical insurance cover. Cyclists will be charged directly by the relevant service providers for any emergency services they may require, so ensure that you are fully insured! IT IS ALSO RECOMMENDED THAT CYCLISTS TAKE OUT CANCELLATION INSURANCE. DUE TO THE LOGISTICS OF THE EVENT, WE CANNOT REFUND ANY ENTRY FEES. The Tour reserves the right without further notice to make use of any photograph or film taken on the tour without payment or permission. We guarantee that no photographs of a compromising nature will be used. a) Indemnity Form b) Cycle tour rules and c) Payment terms and conditions. The terms under which you agree to participate in this cycle tour, cannot be changed or amended except in writing and signed by the Overall Logistics Manager.